China’s diplomatic and economic initiatives in Africa are on the front pages almost daily, so it is a surprise that this book is, according to the authors, the first full-length, detailed book on this subject since the early 1970’s. In the four decades that have passed since then, we have experienced the end of the Cold War, the Cultural Revolution, the emergence of China as an economic superpower and more, and all of these changes have had a profound impact on the Peoples Republic, on Africa and on their relationships with each other. 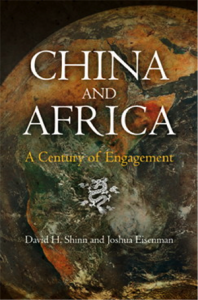 A collaboration between a veteran diplomat, David H. Shinn, and China scholar Joshua Eisenman, China and Africa combines sweep and insight with detail and depth. From its chronology of China-Africa relations to its meticulous country-by-country survey of present-day relations, this book provides both a primer and a reference for a dynamic series of relationships. At a time when China sends more troops to U.N. peacekeeping forces in Africa than any other member of the Security Council, China and Africa reminds us how recently Beijing’s military initiatives in the region began. Now the Peoples Liberation Army’s navy patrols the waters off the African coast, combating piracy and, perhaps most famously, evacuating Chinese workers from Libya. So even without formal military alliances or bases on the continent (contrasted with the U.S. drone bases and AFRICOM), Beijing projects its military hard power into the region. And at a time when China has surpassed the United States as Africa’s largest trading partner, China and Africa reminds us that only a few decades ago, China’s economic footprint on the African continent was limited to a few Cold War showcase projects, such as the East African railway line in Tanzania and Zambia. Today, Chinese government and government-related businesses pursue billions of dollars in investment and infrastructure on the continent, and they are an economically important and highly visible presence across the continent. And the authors relate anecdotes from history that are so contrary to a 21st-century frame of reference: We may be familiar with the voyages to Africa of Zheng He’s fleet, “comparable in size to the Spanish Armada,” well before Christopher Columbus set sail for the New World. But China and Africa traces face-to-face contact to its origins many centuries earlier, to reports of a cultural exchange in 112 BC, featuring the visit of an Egyptian mathematician and magician, dispatched to Xi’an by a Persian emperor. And on the diplomatic front, China’s first diplomatic post on the African continent was not established until 1905. 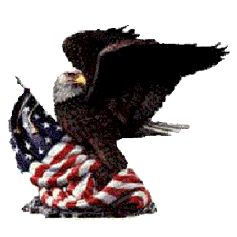 Seven years later, and still the only African posting, it was closed, and Chinese representation on the African continent was handed over to the United States. Adam Clayton Powell III is Director of Washington Policy Initiatives for the University of Southern California. Based at USC’s Washington DC Center, Powell is working with the USC Annenberg School for Communication and Journalism and the USC School of Policy Planning and Development to inaugurate a series of forums and research meetings focusing on communication, technology, development and policy. He is also a Senior Fellow of the USC Center on Public Diplomacy and of the USC Center on Communications Leadership and Policy. Until fall of 2010, Powell served as USC’s Vice Provost for Globalization, working with faculty and deans to advance the university’s global initiatives, expand USC’s international presence, increase USC’s leadership role in the Association of Pacific Rim Universities, and promoting the university throughout the world. Powell previously served as director of the USC Integrated Media Systems Center, the U.S. National Science Foundation’s Engineering Research Center for multimedia, and before that spent several years as Vice President for Technology Programs at the Freedom Forum and Newseum, creating training programs and forums on digital media in Africa, Asia, Europe, Latin America, and the United States and on new media for journalists, media managers, educators and policy makers. Powell has just published a 2010 update to his book Reinventing Local News: Connecting with Communities Using New Technologies. He also recently contributed a chapter to America’s Dialogue with the World and has also written for a number of publications, including The New York Times, Wired Magazine, and Online Journalism Review. Powell comes from a career of two decades in broadcasting, serving as vice president for news and information programming at National Public Radio; manager of network radio and television news for CBS News; executive producer at Quincy Jones Entertainment; and general manager of PBS stations WHUT-TV in Washington and KMTP-TV in San Francisco. Powell has won numerous awards, including the 1999 World Technology Award for Media and Journalism, sponsored by The Economist, and the Overseas Press Club Award for international reporting for a series of broadcasts on Iran. Powell has written extensively about technology, media and international issues for publications ranging from The New York Times and Wired to USC’s Online Journalism Review. He has won numerous awards, including the 1999 World Technology Award for Media and Journalism, sponsored by The Economist, and the Overseas Press Club Award for international reporting for a series of broadcasts he produced on Iran.